Yesterday's 'command and control' leadership mentality is out. Academy Leadership, an elite consulting and training firm founded in 2000, consists of a team of trailblazers with decades of real-world experience developing corporate leaders. But that's just the beginning. 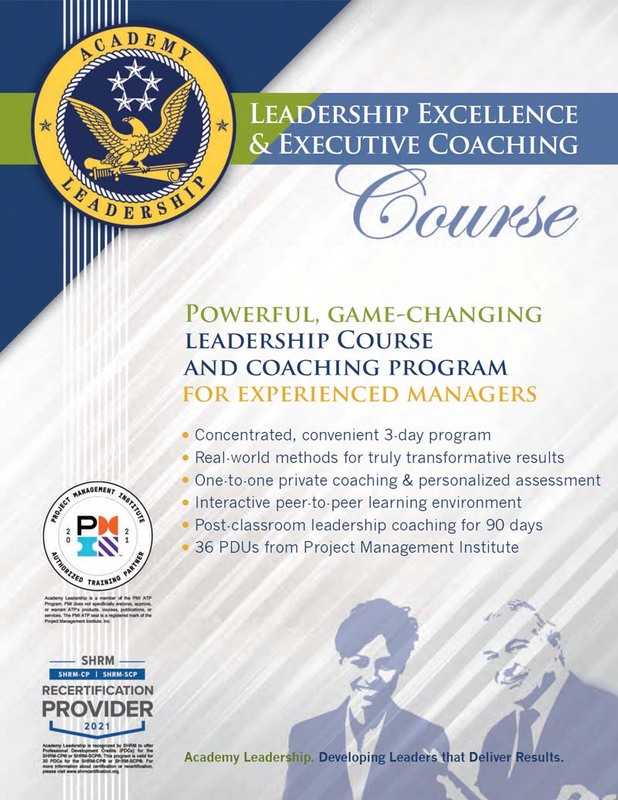 Our top executives hail from all branches of the world's mightiest military to bring an altogether unique perspective to leadership training not found in any other program. No one knows more about leadership, strategy, discipline and creative thinking than the U.S. military's top commanding officers. 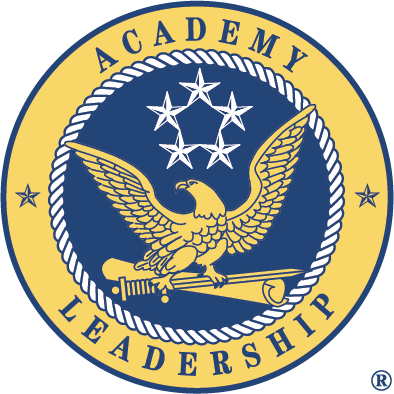 Combined, Academy Leadership delivers a comprehensive, no-nonsense program for high-level executives in any industry, in any size organization. 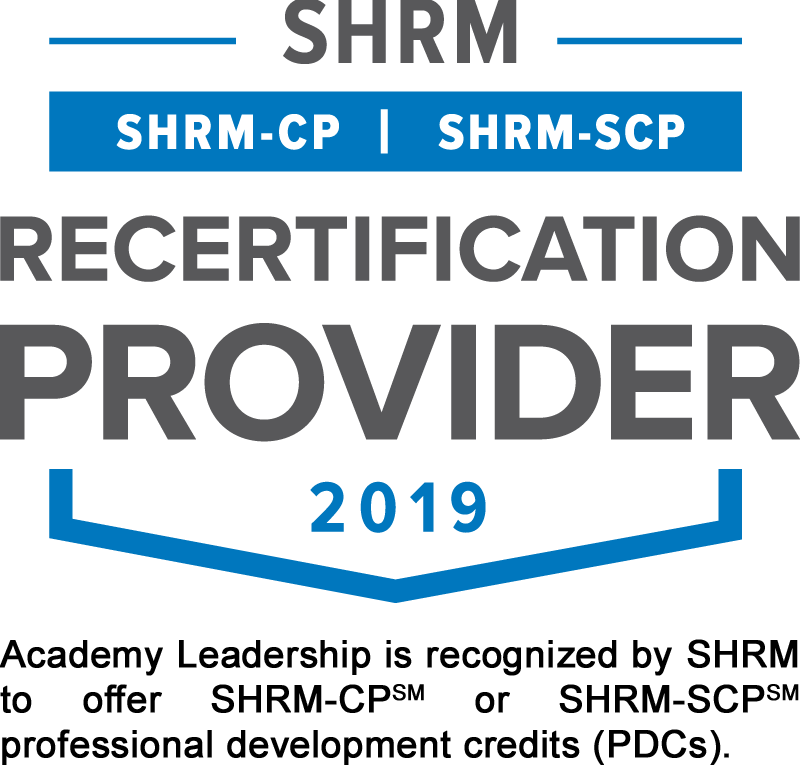 In addition to 36 PDUs towards PMI® certification, attendees of our Leadership Excellence Course are eligible for 30 PDCs from the Society for Human Resource Management (SHRM).